Hull FC have had some great half backs over the years, certain golden locks come to mind, but few can boast the class of Marc Sneyd – the man for the big occasion. Time and time again does Sneyd step up and deliver, more than not with that mercurial left boot when it matters most. 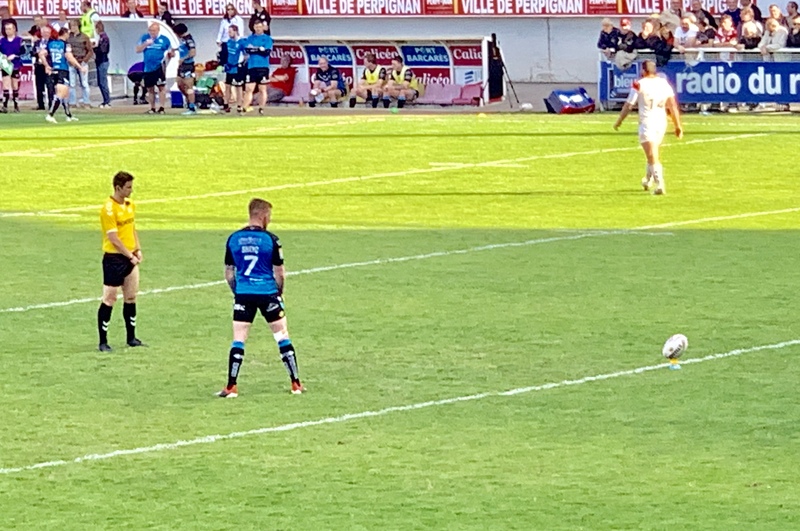 The ice man that can sell the solid stuff to an Eskimo, he is calm under pressure, and wins his club competition points like every good half back should – the latest example being four decisive kicks to swing a mental game into a 31-30 Hull FC win over Catalans in the South of France. Up there with the very best of soap opera Super League finishes, a try for Burger King advocate Sam Kasiano looked to have won the game for the French outfit, who it must be said spent the large majority of the eighty minutes flapping around like a bunch of demented seals than actually trying to play some rugby league. Sneyd though had other ideas. His short kick off won a penalty which he took bang on the half way spot. No problem. Golden Point then, Hull FC are no strangers to this situation and we have the best player suited to the scenario. We lose the toss and have to kick off. Again no problem. Sneyd delivers another peach to get the ball back and three plays later slots over the winning drop-goal – current one point king Gary Pearce will be looking nervously over his shoulder now. Sure there’s better runners of the ball out there but Sneyd was magnificent throughout and his importance to Hull FC is massive. We’re a different kettle of fish with him in the side for sure, and it wasn’t just his kicking that excelled either. 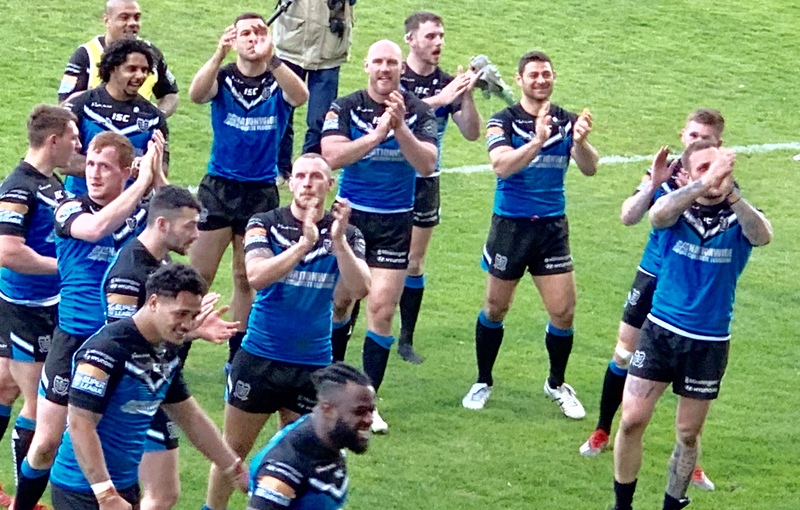 The way he managed the last quarter was superb, although it could be argued the Airlie Birds shouldn’t have needed a few swings of his left boot to see out the win – not that any credit should be taken away from a resolute and injury hit Hull side. The game was a fiasco for the most part, with the play of the ball a complete and utter joke. Hull FC went to France with the intention of playing some rugby. Catalans came with the intention of playing for penalties and impersonating Sea Worlds finest. That was the difference and it seemed like justice when the hooter finally sounded. Of course the French outfit had a harsh try ruled out via the video ref, who had as big of a mare as Chris Kendall, who bottled sending off Brayden Wiliame for a high shot on Jake Connor, despite both feet off the floor and shoulder contact to the head. Anyone remember Bureta Faraimo on Good Friday last year? Ironic it was the same referee in question that day. It’s a tough gig for sure this officiating lark, but there’s too much incompetence creeping in for ones liking. That made an already tough job for Hull FC even harder. Already depleted, Lee Radford handed out two debuts to Levy Nzoungou and local teenage lad Jack Brown – laterally who scored with his first touch and produced an impressive performance that defied his youthful years. It was the baby-faced assassins who tormented Catalans in the first half. Connor Wynne also got his first try for the club and looked assured in the fullback role. As for the older blokes with bold or receding hair lines, Josh Griffin was the pick of the bunch. His try brace made it nine for the season, all of which have come away from home, with seven coming in the past three away games alone. But despite the glamour a few meat pies bring, it’s his work in the backfield and those tough metres he comes up with time and time again that win his admirers. 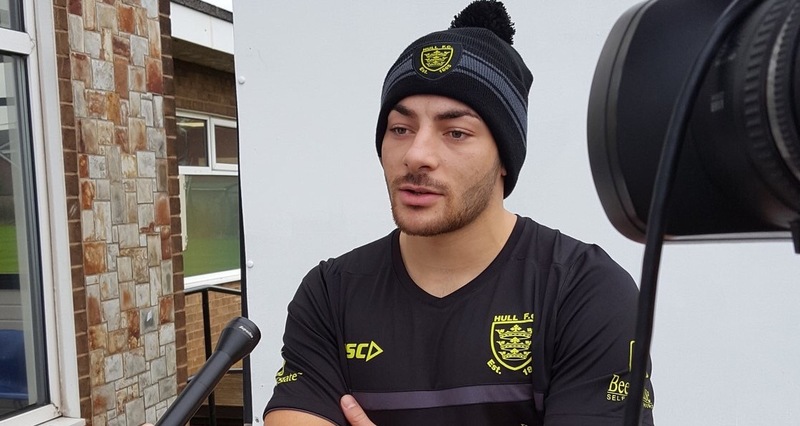 The same can be said of Carlos Tuimavave who was busy and Faraimo himself – who’s grown on the fanzine massively. He’s a powerhouse and a nightmare to put down – Popeye, spinach and all that. The glue of the side though is undoubtedly the 37-year-old immortal known as Gareth Ellis, who turns 38 in a few weeks time and is still knocking young whipper snappers on their arses. What a player. The once in a generation player. A privilege to watch, Ellis leads by example and his presence rubs off on everyone else. Cue Nzoungou, Dean Hadley and Jordan Thompson, who all stood up better than one would have imagined against a big Catalans pack that looks like it could do with a month or two on the old slim fast diet. Meanwhile Hull welcomed back the Snake into the fold and his class was telling, from slick handling to his verbal antics. Connor produces moments of genuine quality and when he’s in the team there’s always a fighting chance. Albert Kelly also had one or two glimpses, but also one or two head in hand moments. As far as pivots go though, the game belonged to the Ice Man. What was particularly impressive was the way Hull dug in. It’s not easy coming to Perpiganan – just ask Warrington or St Helens, but Hull kept their intensity up and found a way to win, despite the penalties going against them. Admittedly the way the two points came was a scenario we’ve never seen before, and it tested the nerves for sure, but it’s job done – five away wins in a row and up to fifth in the table, level on points with third placed Wakefield. Next up the Derby, with players coming back for it too. The fanzine has said all year not to judge Hull FC until we go full tilt. Hopefully in the coming weeks we’ll get a chance to show just why. Until then these fighting qualities we are seeing right now on the road will do just fine. Catalans Starting XIII: 1. Tony Gigot, 5. Lewis Tierney, 6. Samisoni Langi, 4. Brayden Wiliame, 27. Fouad Yaha, 29. Sam Tomkins, 22. Lucas Albert, 14. Julian Bousquet, 18. Alrix Da Costa, 10. Sam Moa, 16. Benjamin Jullien, 17. Matt Whitley, 8. Remi Casti. Interchange: 12. Benjamin Garcia, 13. Greg Bird, 24. Jason Baitieri, 28. Sam Kasiano. Catalans Tries: Gigot, Baitieri, Garcia, Yaha, Kasiano. Hull Starting XIII: 36. Connor Wynne, 24. Jack Logan, 3. Carlos Tuimavave, 4. Josh Griffin, 2. Bureta Faraimo, 14. Jake Connor, 7. Marc Sneyd, 34. Gareth Ellis, 9. Danny Houghton, 16. Jordan Thompson, 21. Sika Manu, 12. Mark Minichiello, 11. Dean Hadley. Interchange: 37. Jack Brown, 29. Levy Nzoungou, 22. Jordan Lane, 6. Albert Kelly.